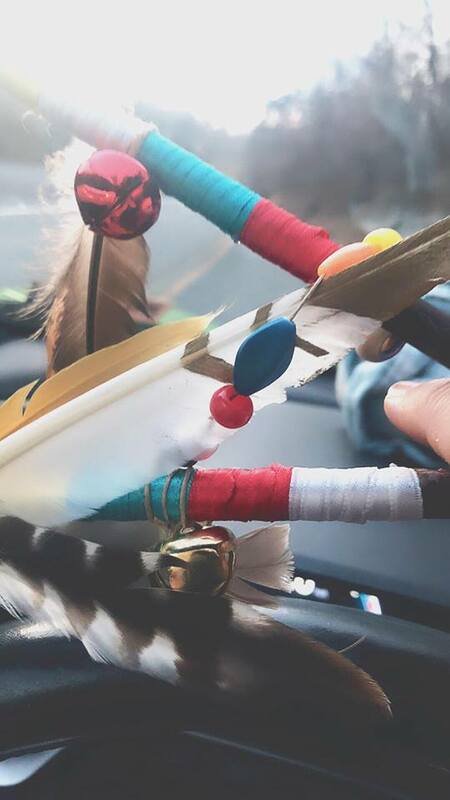 Prayers sticks made by Maasaw Howard for my travels. 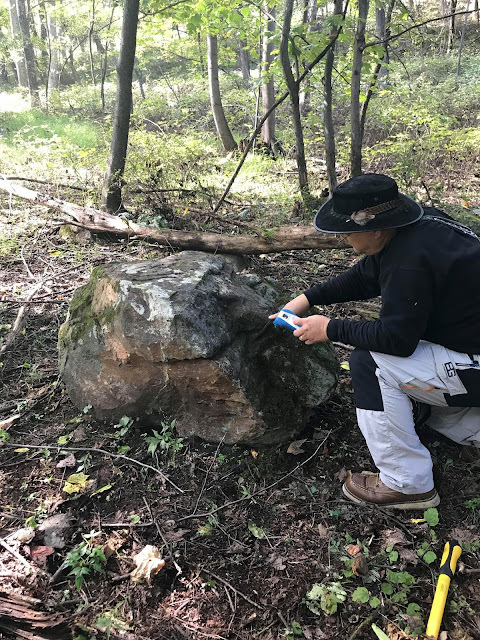 Recently I was lucky enough to learn about Bear Spirit Mountain, an archaeological site in West Virginia found by Matthew and Ingrid Howard. Their intention was to build a home, but it turned out to be so much more. Imagine the shock and disbelief purchasing a property to build a home, only to find your land is loaded with burial sites and indigenous artifacts. Matthew "Maasaw" Howard cleaning off a rock to expose it's carved face. Luckily they vowed to protect it and Matthew found the perfect opportunity to tell the story of his ancestors though the book Adonvdo Yona (Bear Spirit) Mountain: An Ancestral Awakening Amazingly enough Howard was led to the wonders of the property thanks to the help of a black bear. If you believe in anything extraordinary, you may wish to see how the legend of the Black Bear Spirit is associated with the Cherokee. I'm so pleased for them! A few things from the backyard and my travels. 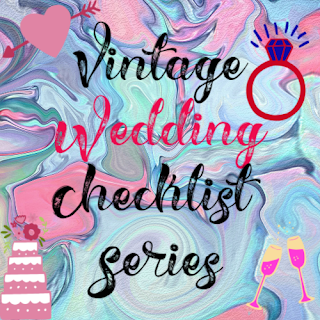 Now, let's move on to something we all love here at Vintage Chalet, and it's collecting. Native American Artifacts and collecting relics of indigenous people are getting more and more popular. 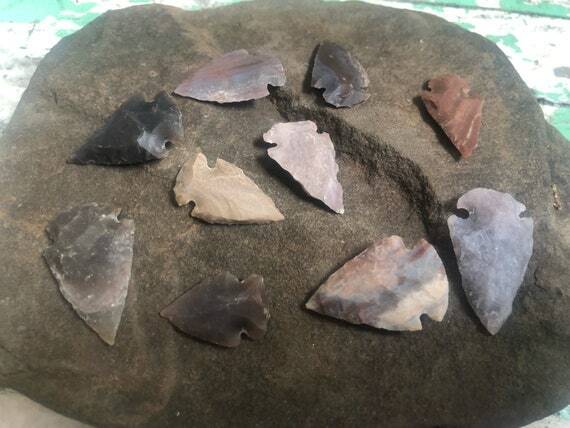 In fact, one Archaeologist, RPA Jack Hranicky has written over 50 books alone --- many guides to collecting or identifying arrowheads, spear points and tools! Many people collect Native american Artifacts now, and should do so respectfully. Always obtain permission before searching someone's property, and do not remove artifacts from burial mounds or grounds. Those who like to rob graves have been known to experience quite bad kharma, making that ebay sale just not worth it! Would you want someone to rob your grave? Unfortunately there are tons of reproductions, fakes and frauds on the market. Take for instance, this guy on Facebook who makes wonderful reproductions (jewelry, props, costume things). He carves them now as his ancestors did then. There are tons of items on Etsy that are reproductions of ancient artifacts, and not all specify so. 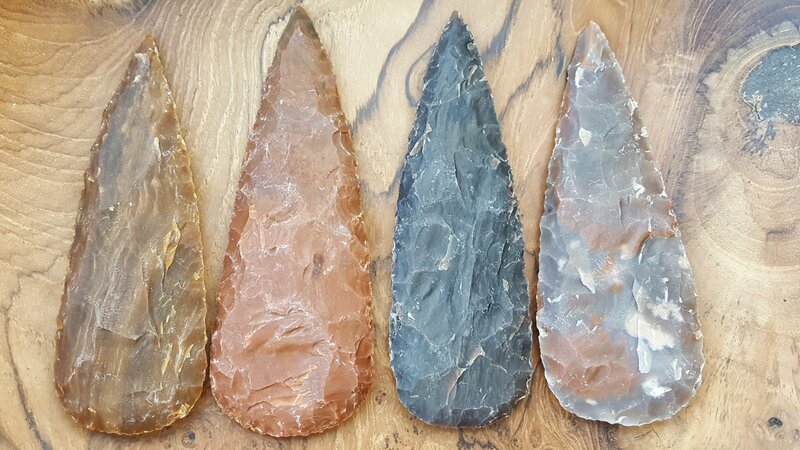 Seller Auramore has these listed as Clovis People Arrowheads, but they only $4.48 each. The cost should tell it all. The problem is, let's say Judy orders a reproduction basalt arrowhead necklace and in ten years sells it at a flea market because she is tired of wearing it. That flea market buyer now sells it as an original online to someone else. Someone just paid $149 thinking they were getting an ancient artifact when in fact they are getting a used a handmade handcrafted NEW necklace. These from RetroChalet clearly say age unknown. The arrowhead collection above was purchased in 1980 at a trading post in Maine, however, it is uncertain if they made them for travel gifts or souvenirs or if they are old. So they are priced accordingly and great for crafters who wish to make earrings or necklaces. 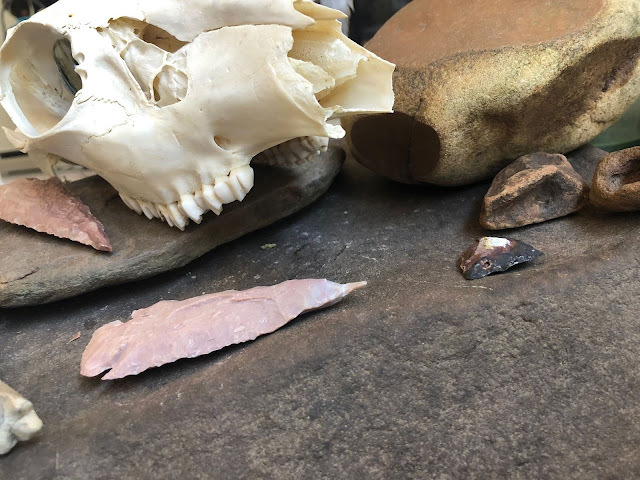 Unfortunately we are talking that most of these items are made of rocks and stones, so all stones are old and antique, some millions of years old, but is the CRAFTSMANSHIP that old? That is the main issue with collecting Native American artifacts. In my next post we will go over types of items, and show you them. 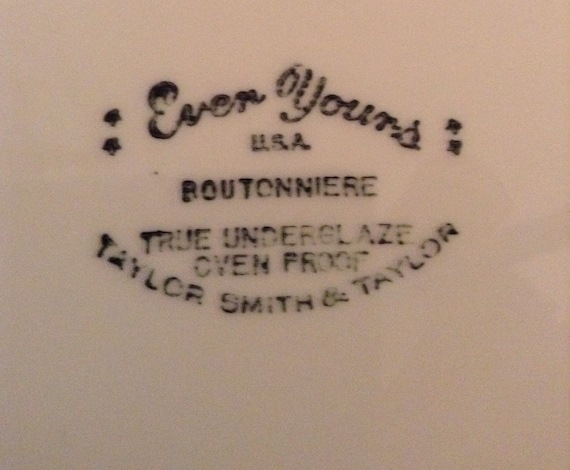 The Library of Congress shows an entry in 1965 the Taylor Smith and Taylor Company's entry for "Exquisite Boutonniere Ever Yours Dinnerware." Without buying one of the print china books on the market, not much is to be had on this line as far as collector's site go........as most of the focus of Taylor Smith Taylor collectors is the all popular Lu-Ray line which was made in the depression era. 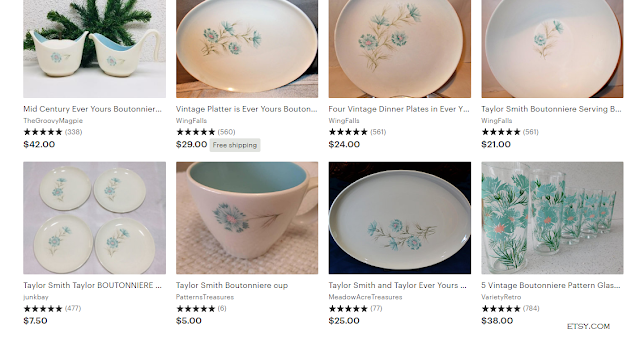 A quick search on Etsy reveals many pieces for sale. 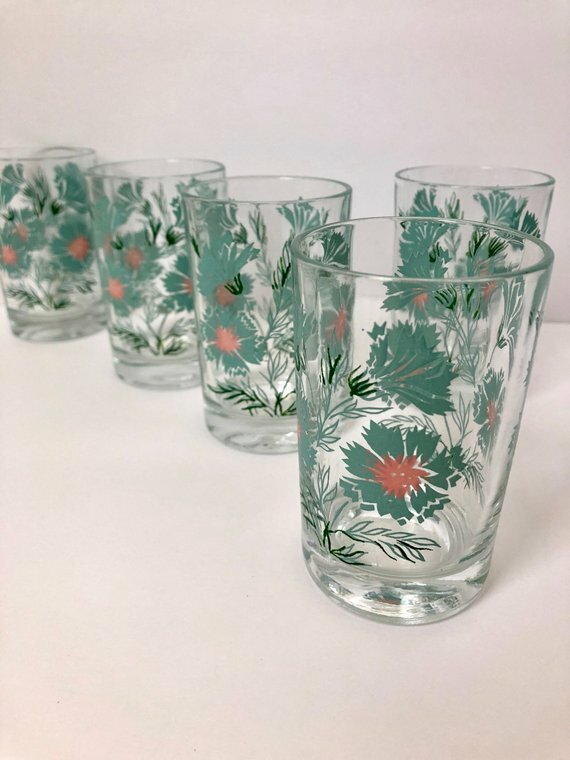 These hard to find TST Go with Glasses are from SwankyLadyVintage on Etsy. Boutonniere is one pattern of the TST "Ever Yours" line. 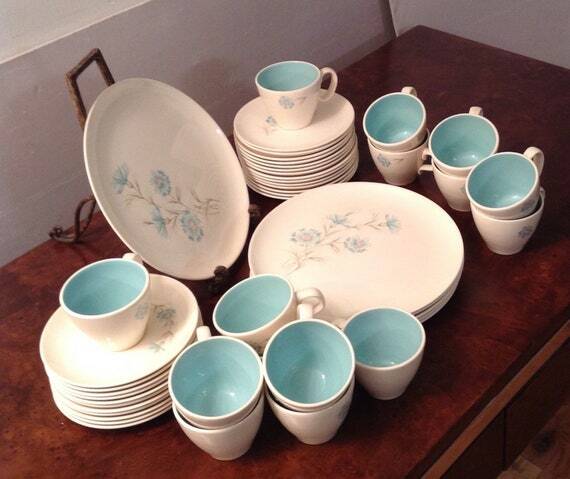 EVER YOURS line, classy and coupy, a nice ceramic set for the table. From covered butters to cute salt and peppers, this line was inexpensive at the time, as a friend collects it and recalls it from his youth. 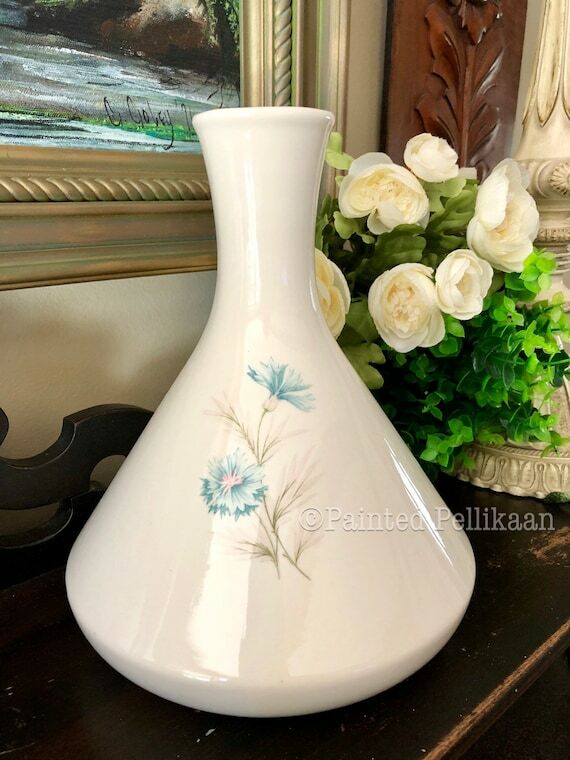 He's spent years assembling rare pieces and what appears to be look-alike flowers from other manufacturers trying to "knock off" the TST line. Taylor Smith Taylor themselves had another flower, not quite as pretty in my opinion, Blue Bonnet. The carafe was either made in small quantities or just produced on a short run. Over time you are simply just lucky to find them anymore if at all. If you should find with wood lids or unknown mystery handles, then a definitely good find to be coveted. 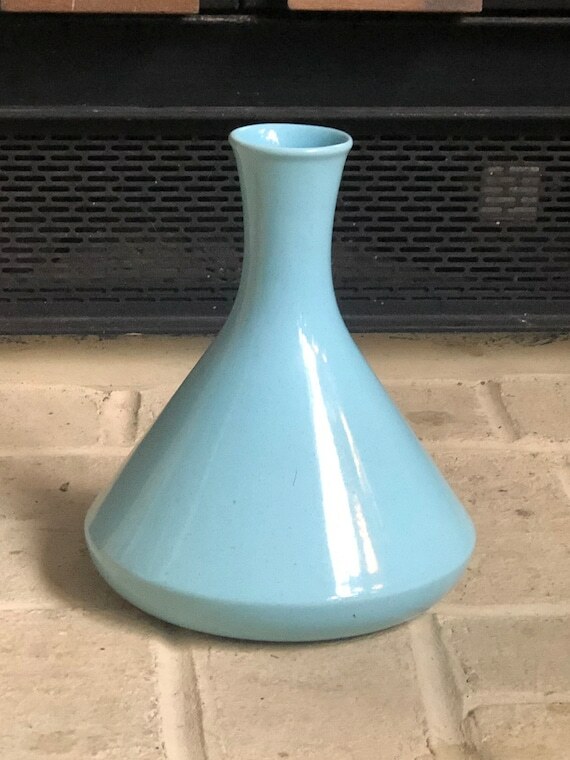 Then we see offspring which make us unsure just what this could be, either a factory misprint, or a special test run, as a solid carafe just should not exist. 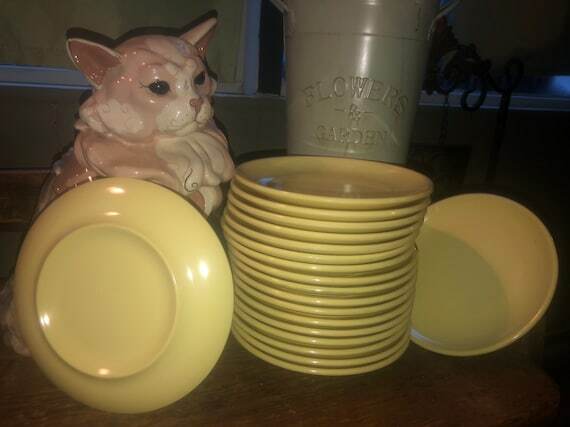 How is it that a melmac manufacturer Prolon, survived from 1956 until now producing the same line of melmac dishes called CADENCE? Now owned by ThermoServ the history goes all the way back to the ProPhylactic brush company, an early maker of all things rubber, plastic and well, of course, brushes. The history is quite enchanting. Find out by reading this great article over at RetroChalet.blogspot.com on Cadence Prolon. Sometimes shops on Etsy pop up with a particular theme, for instance, the blacksmith artist who only hand forges hooks and metalware. 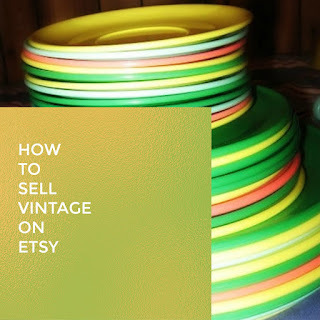 There are many shops full of the vintage jewelry seller who only sell a certain "type" of item. Whether it be the deco or bakelite circa 1920's or an upscale diamond and gemstone shop, things are streamlined for you. Although those shops are all fine and wonderful, they aren't really giving the thrill of treasure hunting. Once in a blue moon you may get lucky and see a shop like Bolducs Basement. 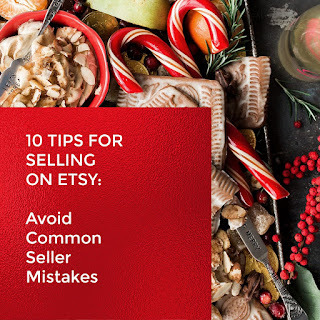 In this case, when Tracy from Helotes, Texas decided to open a "treasures" shop on Etsy. What she has unmassed is a giant collection of knick knacks from the 1970's, 1980's and 90's, so much of it reminds me of my own youth! What makes this shop different is that it's themed circa 70's to 90's era and a bit of everything which makes great fun for treasure hunting! Great for 1980's Collecting! 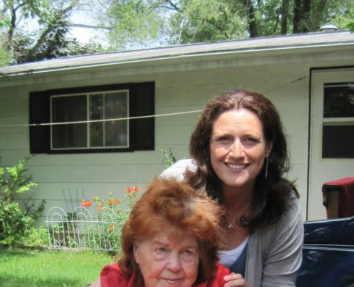 Tracy and her 90=yearsyoung grand-mom, who got her started in collecting. Her inspiration, she says, was from her Grandmother who had a flair for vintage decorating. 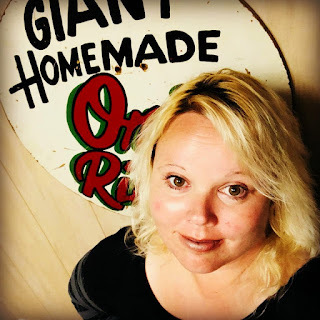 Tracy says that her keen eye for recognizing vintage things and fixing up old furniture led her to open a booth locally. She says, "I opened a second booth closer to home, and then when it became too strenuous with balancing my home life (taking care of demanding dogs and a cat, as well as my daughter before she went to college) so I just kept up the one close to home. When rent became too much, I started selling exclusively online." Smurfette is only $8.50 a great deal at Bolducs Basement on Etsy. Tracy balances her store with unique inexpensive items. Here today, gone tomorrow, so don't wait! 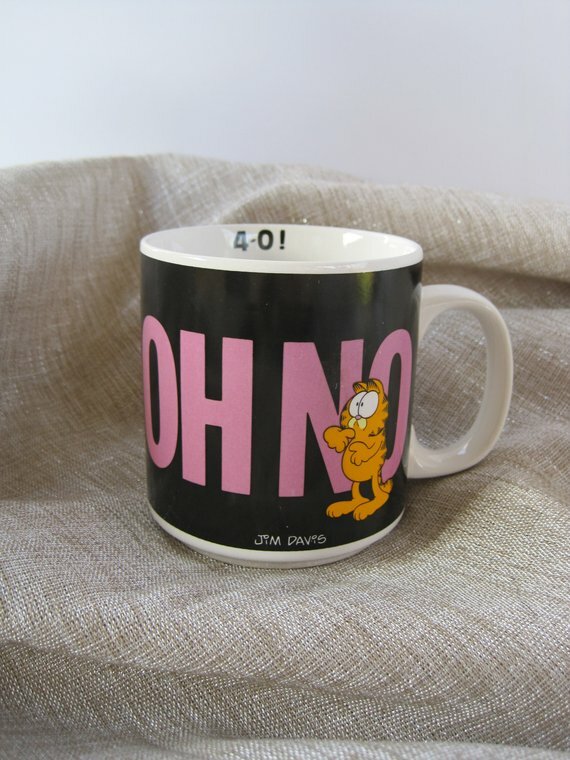 In this shop you will find a big assortment of 80's character items such as Disney, Garfield and Smurfs. 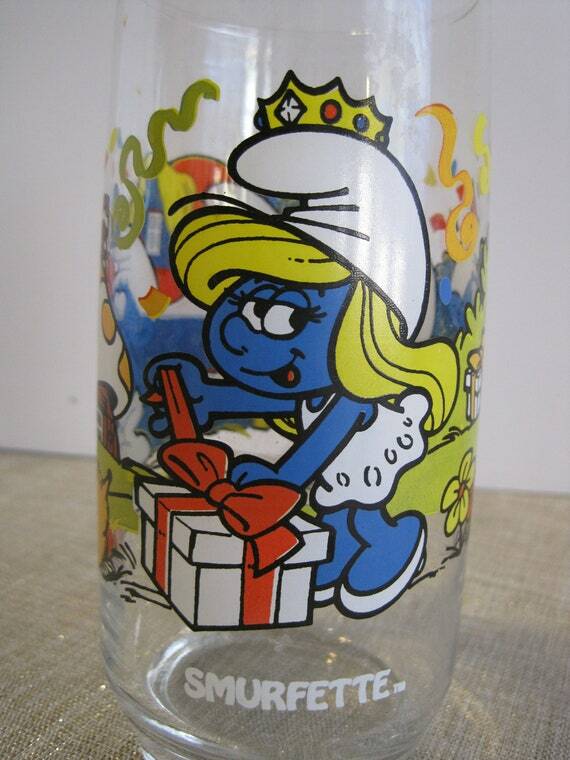 I did a huge post on Collecting Smurfs before, and it was one of my most read. Seems that those little blue creatures seem to be living forever. 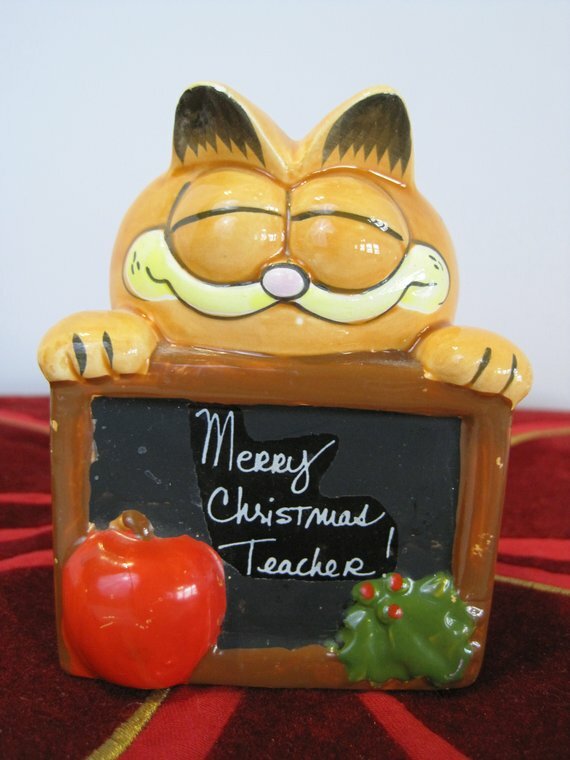 Smiling Garfield Collectible at Bolducs Basement on Etsy. 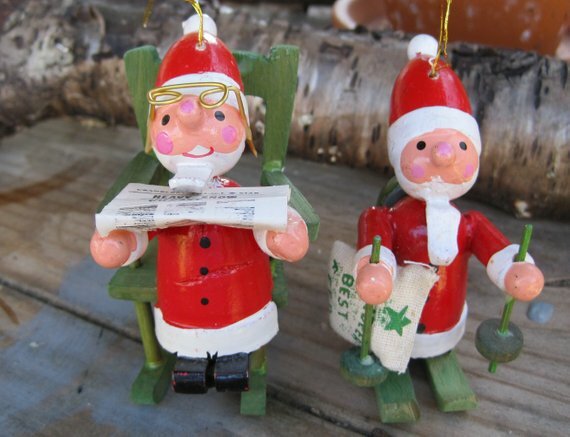 For Chrismas, Tracy's shop is loaded with vintage Christmas items and ornaments, the kind I used to see my own Mother decorating with. 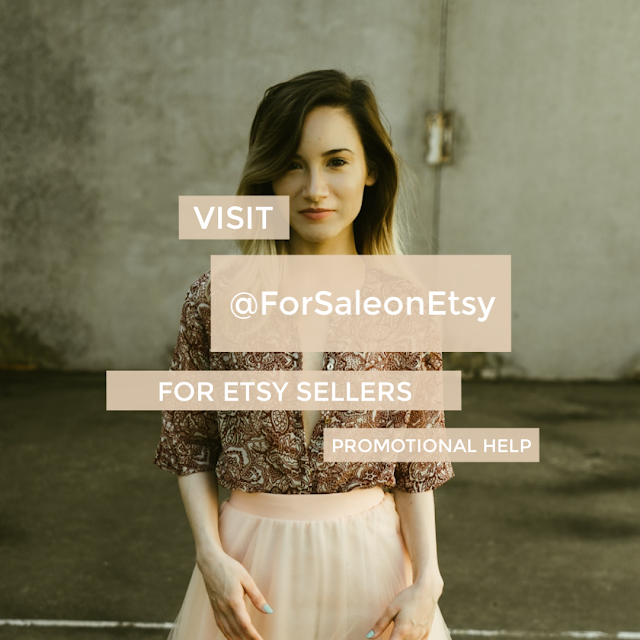 It's a great shop to bookmark and check often, or favorite on Etsy to get updated of new and recent items. Tracy says, " To me, everything I have in my store is a treasure. Much like my grandmother's house, where she has some of everything, I hope that people can find a little bit of everything in my basement." 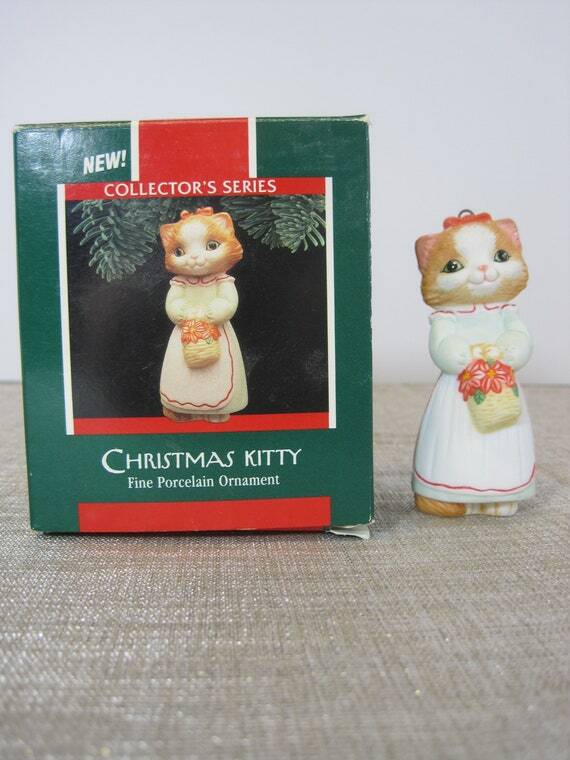 Christmas Kitty Hallmark Ornament and More in her shop!